THE CAPUCHIN VIDYABHAVAN, THELLAKOM (1982 - Changanacherry Archdiocese) The Capitular Commission appointed to draw up our formation programme, in its first meeting in 1981, suggested that a separate Theologate be set up pref- erably near Kottayam, being the centre of a well-established ecclesiastical studies. The Provincial definitory approved this suggestion, and the task of finding a suitable place was entrusted to Br. Stephen Jairaj, who was helped by Br. Alphonse. 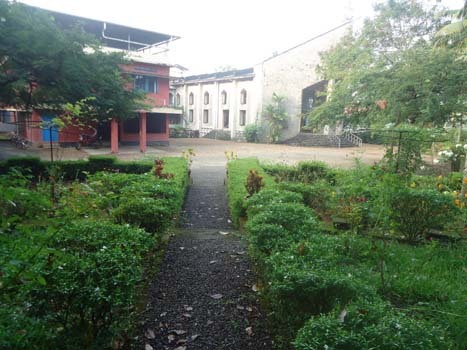 St. Francis Theological College, known as Capuchin Vidyabhavan is on Caritas- Medical College Road, one Km. from Caritas Junction. The construction of theTheologate began in1982 with the untiring efforts of Br. Jovinus Kazhuthuveetil.TheTheologate started functioning on 09 June 1986 even though the construction was not yet complete. On completion of the construction the house was blessed by Mar Joseph Powathil, Archbishop of Changanacherry, and formally inaugurated by Br. Flavio Roberto Carraro, our Minister General, on 29 March, 1987. Capuchin Vidyabhavan imparts theological and spiritual formation to the brothers of all the Syro Malabar provinces in India. Since 1990 Capuchin Vidyabhavan has opened its portals to students of other ReligiousCongregationstoo.Since2004 theinstitutionisaffiliatedtoSt.Peter’s Pontifical Seminary Bangalore and gives B.Th. Degree in Theology.